The longest night of the year is honored by many traditions as a sacred time. In the past, it's been a night to gather 'round the fire or set out candles to call back the Sun. It's on the 21st in 2016. Is this where the date for Christmas came from? The indigenous Europeans had already been celebrating the birth of the Sun as part of Yule for thousands of years. In Latin, solstice means sun set still and Winter Solstice is the great stillness before the Sun's strength builds, and days grow longer. It can be a time to rest and reflect. It's the fruitful dark out of which new life can eventually emerge. In ancient times and for some today, the darkness itself is the spiritual cradle into which the Sun is reborn. Father Time with his sickle appears briefly and bids us farewell before the newborn babe appears at New Years. Everything lies dormant in the silent night, a sacred time of rest before the awakening, and the slow build toward longer days. 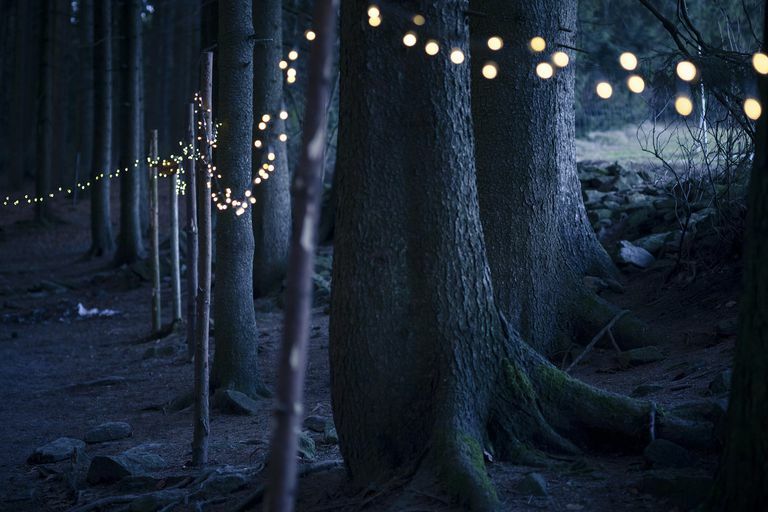 This time of year is associated with light -- string lights, sparklers and of course, candles. There's the advent wreath of the Christian faith and the all-night bonfire for the burning of the Yule log, a tradition with roots in Northern European pre-Christian times. The lights are reminders of the inner light and hope for the return of sunny days. The timeless traditions during the dark season of lights and celebrations are thought to be an attempt to balance out the sunless gloom of winter. Seasonal depression is brought on by a lack of sunlight, and a drop in serotonin levels. In Roman times, the Feast of Saturnalia was meant to counteract the heavy dark and the season's reminder of mortality. Named for Saturn, the ultimate buzz-kill at any party, their feast turned normal Saturnian boundaries and order on its head. Masters became servants, and gambling and excess were encouraged. The many seasonal gatherings help to carry us through the dark time of the year. There's a melancholy that can be overwhelming without the promise of a new beginning. It's normal to feel that tinge of sorrow at life's endings, here at the dying of the year. Parties and holiday gatherings remind us that we're all in it together. We long for a sense of belonging, being part of a tribe, feeling that deep bond of family. The Earth is tilted on its axis like a top, which astronomers figured out is at 23 degrees. The seasons are flip-flopped, with Winter Solstice coming in December for the Northern hemisphere and in June for the Southern hemisphere. That's why Australians are wearing jumpers in summer and swimsuits in winter, and our seasons are reversed. To avoid confusion, sometimes they're called June and December solstice. At Newgrange cairn in Ireland, the sun's rays shine onto the triple-spiral symbol in the burial chamber. The megalithic mound is womb shaped, and the triple-spiral is thought to come from the earlier Goddess cultures, representing the triplicity of Mother, Maiden, and Crone. The light of the Sun begins a new solar cycle at Winter Solstice. The rays shine into the dark and nurture the newborn life there to be cultivated. And this is mirrored in nature, as the seeds are buried in the darkness of the Earth, to emerge once again with the life-giving rays of the Sun. The longest night is a fruitful time for setting intentions, to be birthed with the newborn Sun. What you conceive now can grow with the Sun, and gain momentum in Spring. You might start a tradition of setting Winter Solstice intentions, and in one year, see how many have come into being. Put them in a special tin or box that has meaning for you. The dark before the dawn, just like New Moons, can be a powerful moment of magic, drawing in what you'd like to see happen in the new year.